The left-wing Rot Front party demands registration and compensation for moral damage over previous rejections by the Justice Ministry and Moscow City Court. 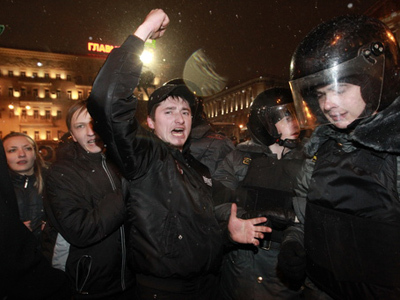 ­The Justice Ministry on April 11 refused to register the party for the fifth time, saying the party’s emblem – a clenched fist – may symbolizes extremism, said Sergey Udaltsov, the organization’s leader. The party’s name in Russian is an acronym for the Russian Unified Labor Front. However, this name also has connotations of former German communists and Russia’s well-known confectionary brand. The party has previously demanded compensation over past denials of registration, but Moscow City Court refused to accept the appeal in March, Udaltsov told Interfax. Now the party has asked the Supreme Court to register it and rule that it be paid 250 million rubles (about US$9 million) in compensation for moral damage. According to Udaltsov, the Justice Ministry also had questions about the party’s charter. 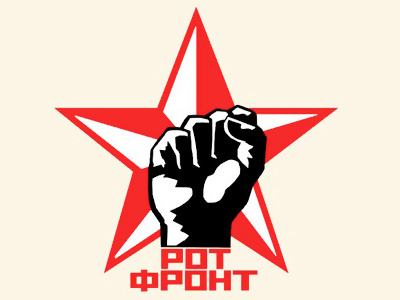 Udaltsov is also the founder of another movement, the Left Front, which held its first congress in February 2010. After the Justice Ministry denied its registration three times, another founding congress was held in November last year, but to no avail. Activists of the Left Front have taken an active part in the organization of unauthorized protest rallies on Moscow’s Triumfalnaya Square. 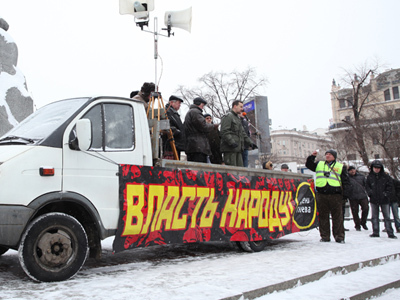 Udaltsov also staged several “Day of Wrath” unsanctioned rallies against policies of the previous Moscow government.